The latest version of macOS Mojave incorporates a handful of feature additions like Safari Autofill for MacBooks with Touch ID hardware, as well as a debut to Apple News in Canada with support for both English and French text. To go along with today's announcement of Apple News+, macOS Mojave now integrates the subscription service with access to more than 300 magazines, as well as daily newspapers like The Wall Street Journal and the Los Angeles Times, and premiere online publications. With macOS support, subscribers can read articles on their iPhone, iPad and Mac. The update also introduces automatic Dark Mode viewing in Safari for compatible websites, as well as push notification management and a warning for insecure webpages. Other features include support for Apple's second-generation AirPods, air quality index readings in Maps for U.S., the UK and India, real-time text for phone calls made through a nearby iPhone, USB audio device reliability improvements and more. As usual, the new release includes unspecified performance improvements, security enhancements and bug fixes. 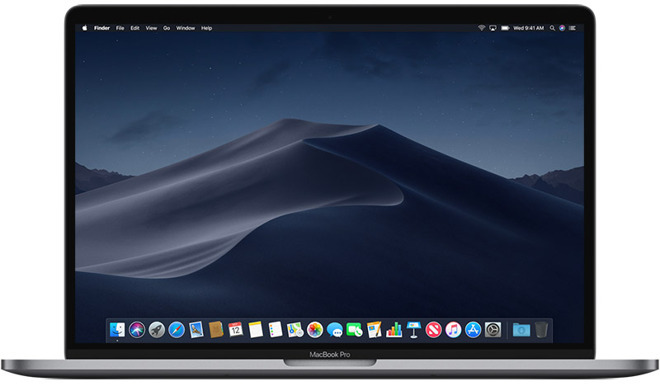 Today's release arrives a week after Apple issued a sixth beta version of macOS 10.14.4 to developers and Public Beta Program members for testing. The latest macOS joins iOS 12.2 and tvOS 12.2, both of which saw release earlier today. Apple's mobile operating system also includes support for Apple News+ and includes four new Animoji characters, modifications to Control Center and the lock screen, user interface updates to the Apple TV remote widget and Wallet, and TV support for HomeKit. Apple's macOS 10.14.4 Mojave is available for download through the Mac App Store's Software Update mechanism.